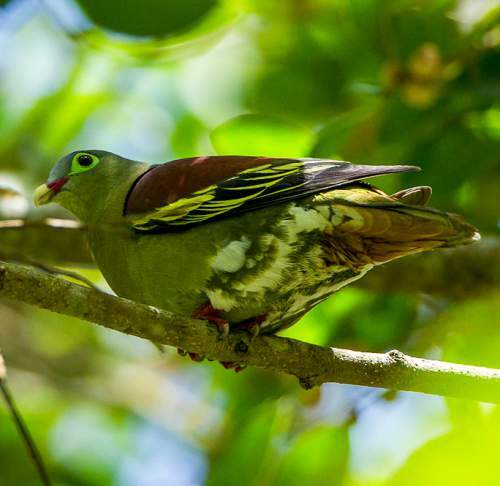 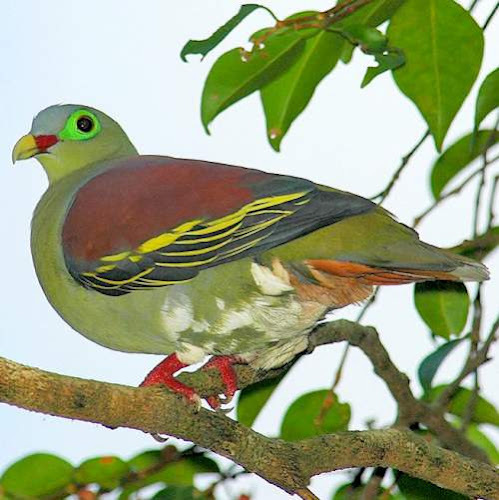 The thick-billed green pigeon (Treron curvirostra) belongs to the family Columbidae under the order Columbiformes. 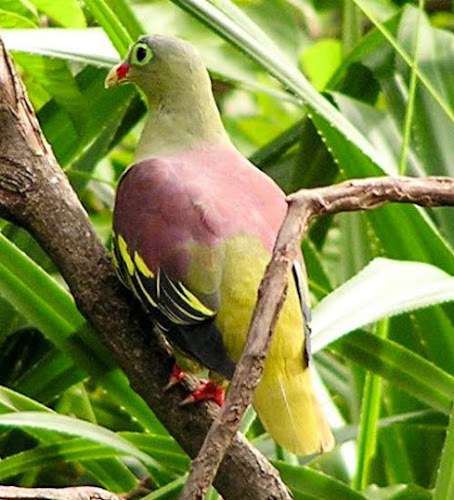 The family Columbidae comprises three subfamilies, Columbinae, Columbininae and Raphinae. The subfamily Raphinae was introduced by Frank Alexander Wetmore (June 18, 1886 – December 7, 1978), an American ornithologist and avian paleontologist, in the year 1930. 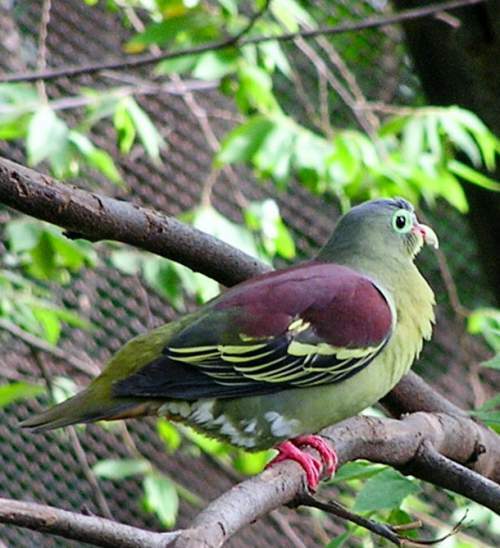 The genus Treron was first described by Louis Pierre Vieillot (May 10, 1748 – August 24, 1830), a French ornithologist in the year 1816. 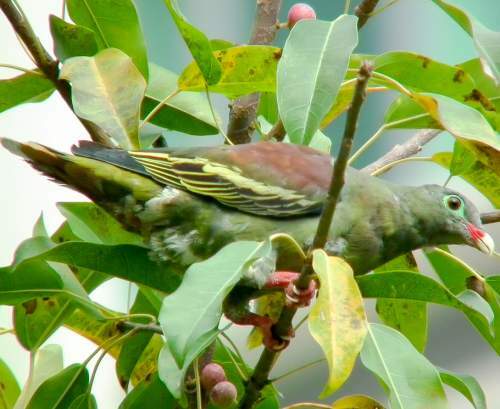 The genus Treron comprises 29 species, including Treron curvirostra. 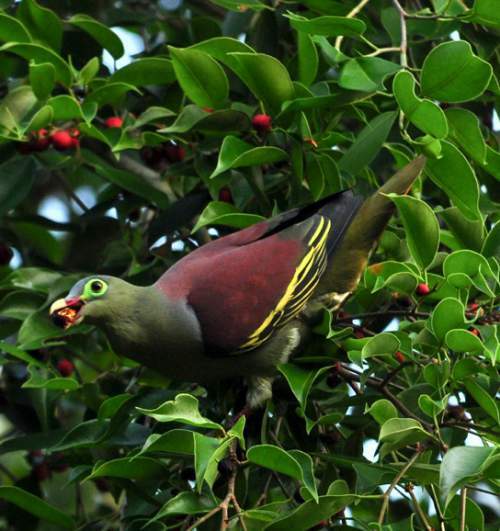 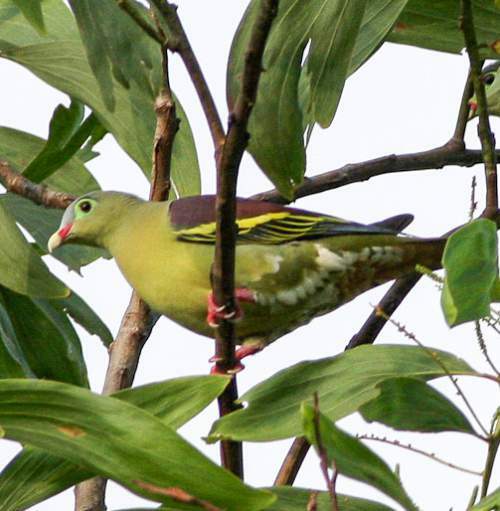 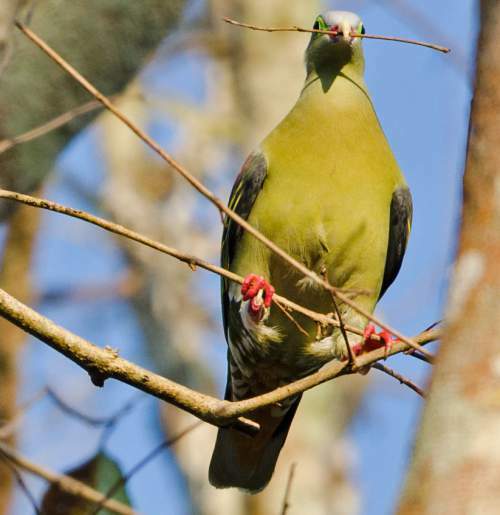 Current topic in Birds of India: Thick-billed green pigeon - Treron curvirostra photos.